We have provided a lot of garages in Perth WA, and even more sheds. As a ShedSafe accredited reseller, most of what we tell you in this post are things we are required to do, and pretty much do on autopilot. However, since we feel that informed consumers will make better decisions, we would like to tell you about nine factors you need to consider when buying a garage or shed. 1. How tall is the vehicle you will be storing in your garage or shed? This is a rather obvious question, but it is even more important, because you will usually lose about 500 mm of clearance from the advertised height of the roller door. At any rate, it is important to know that your shed or garage is large enough for its intended purpose. You need to know this before erecting the garage. 2. 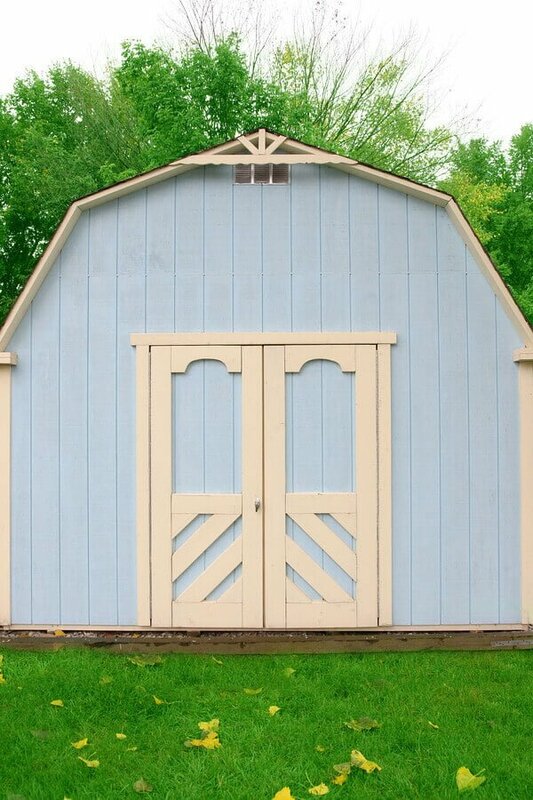 How will you be financing your new shed? First of all, cash is always preferable, as you can often negotiate a lower price for an all-cash deal. However, if you cannot come up with enough money to purchase the shed outright, there are plenty of other options. If possible, get a home equity loan or a personal loan from your favourite bank. This may help you avoid the establishment fees that finance companies often charge for their loans. However, a finance company is a great option if you cannot get a loan from your bank. 3. How prone is your area to wind? If you are in a wind prone area, your shed will have to be stronger to withstand the wind. We could explain this further, but we are accredited by ShedSafe, and we are required to do all of that work for you and determine your wind factor to provide you with an appropriate shed. 4. Will you be building the shed yourself? Obviously, it is a lot less expensive to build your own shed. However, the larger the shed, the more likely you will need to have it built by professionals. If you plan on building your own shed, you must be handy with tools, or have friends who are. If you do not have at least a modicum of talent as a builder, you will do more harm than good trying to build your own shed. 5. Always get your Council’s approval first. This is sort of an extension of number four, but there is so much variation between councils of different cities and towns that you have to get approval before investing your time and money into any kind of structure. Some of the variations you will see include location, size, and colour of your shed. Some councils will not even allow a shed if there is already too much building density on your block. The variance in regulations is too confusing for most; it is easier and safer to have the council approve your shed first. 6. When will you need your garage or shed? If you call us and tell us you want to buy a shed right now, and you have all of your measurements ready, with council approval, it will still take between four and six weeks for your shed to be ready. Why does it take so long? It takes between three and five weeks to deliver the shed kit. It takes another day to pour the concrete slab, and 2 to 3 days for it to dry completely. Then, you will take another two days for professional builders to erect your garage or shed, and even longer if you do it yourself or if the shed is more the size of a barn. 7. How do you want your garage or shed to look? Each shed has eight features and 20 different possible colours for each feature. We’re not here to give you an impossible math problem, but we believe there are almost as many possible combinations as there are possible Australian Lotto numbers. Visit our shed colour picker on the website; it uses 3D computer drawing to show you exactly what your shed will look like. 8. What materials would you like your shed to be made from? We use mostly steel, but feel free to ask about other materials. 9. Would you like to put most of this on autopilot? At Action Sheds Australia, we can take the work out of this for you. Call 1300 778 628 today or visit our contact page.